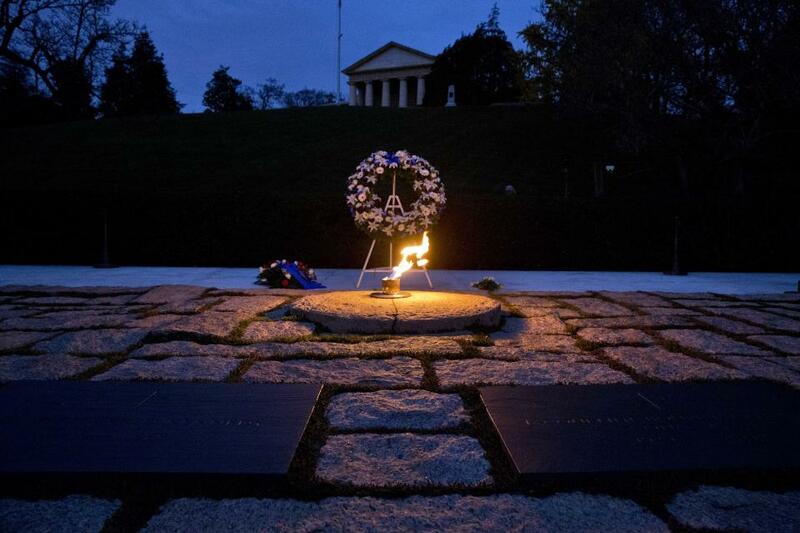 The Eternal Flame over the grave of President John Fitzgerald Kennedy. John F. Kennedy made his first formal visit to Arlington National Cemetery on Armistice Day, Nov. 11, 1961, to place a wreath at the Tomb of the Unknowns. At the conclusion of the ceremony President Kennedy spoke to more than 5,000 people gathered in the Memorial Amphitheater. 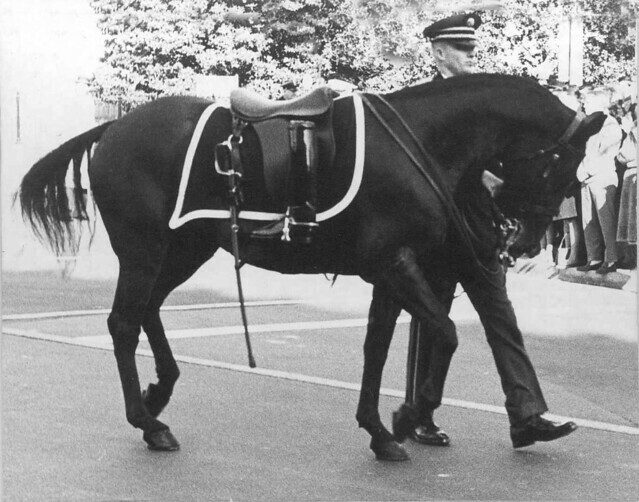 Eleven days prior to Kennedy’s assassination he returned to Arlington for the 1963 Armistice Day services. This time he did not address the crowd in the amphitheater. 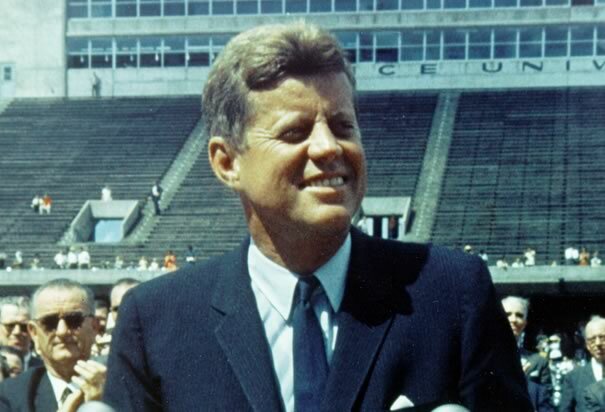 Though Kennedy is buried at Arlington, at the time of his death, many believed that he would be buried in Brookline, Mass. Woodrow Wilson was the only other president besides Taft who had been buried outside of his native state and in the National Capital Region. President Wilson is buried at the National Cathedral in Washington, D.C. . . . . 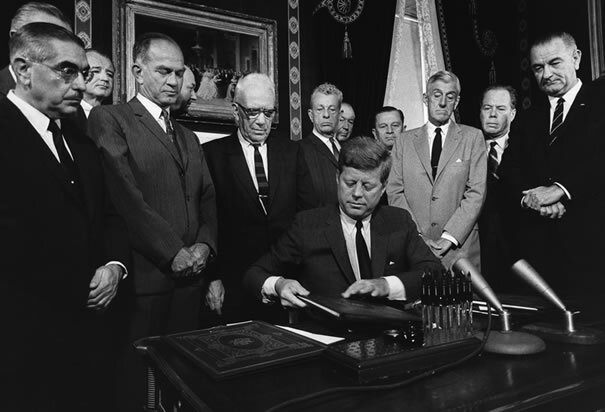 I do remember where I was when I heard President Kennedy had been shot. I was in my high school Earth Science class. I also remember seeing through the classroom window, Eagle Scout, Winslow Golly, Jr., who upon hearing the news, immediately left his classroom and went to the flagpole to lower our American Flag to half-staff. 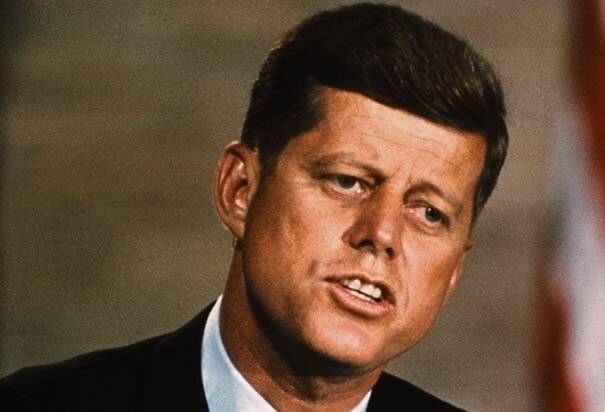 Today’s broadcast media fare is replete with the history surrounding President Kennedy’s tenure in office at the helm of the United States of America, a servant of We the People, as it should be on the 50th Anniversary of that Dark and Evil Day in Dallas. 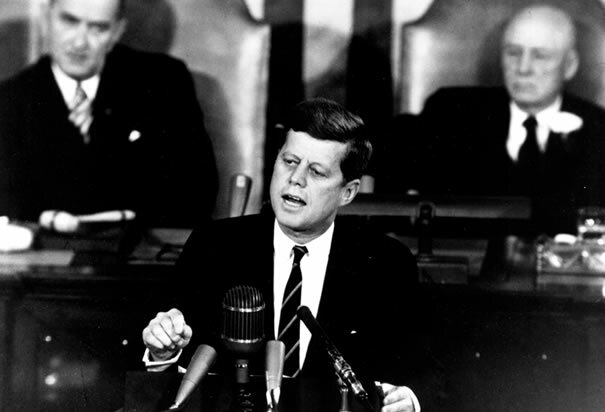 The assassination of John F. Kennedy, 35th president of our nation, moved me deeply. It seemed surreal, like it couldn’t be true, but it was. . . . My political alignment was meaningless in the reality that the president of my nation under God, had been brutally slain! I mourned with my classmates, family, and friends, and with my fellow-Americans. Our Girl Scout Troop, led by my mother, Sylvia Courtney, had plans for a weekend trip to Camp Maripai Girl Scout Camp; we were to leave our schools early ahead of the Friday traffic. My mother wondered if she should cancel the trip because of the earth-shattering news, conflicting details of which were reported on radio and TV. Consulting with parents, they all concluded that President Kennedy would not have wanted schoolgirls to cancel their trip. We went, and we were completely cut-off from the rest of the world and the news until Sunday evening. It was strange knowing what had happened, how important it was, and be miles from home and communications without knowing what was happening as our nation mourned with us. We held a solemn service for the president with the first raising of the flag, and remembered him at each raising and retiring of it during our stay. On November 22, 1963, at 12:40 p.m. CST — just 10 minutes after President Kennedy was shot — CBS broadcast the first nationwide TV news bulletin on the shooting. 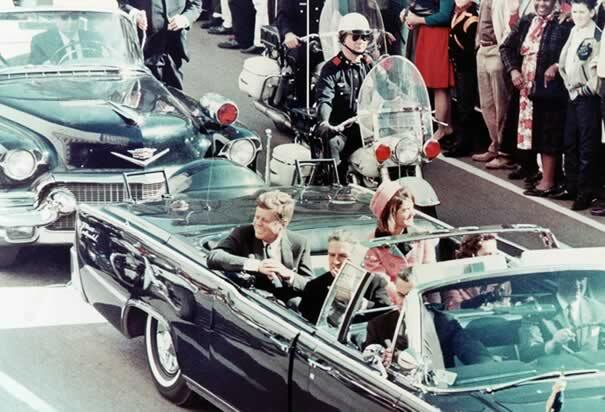 After that, all three television networks — CBS, NBC, and ABC — interrupted their regular programming to cover the assassination for four straight days. The JFK assassination was the longest uninterrupted news event on television until the coverage of the September 11 attacks in 2001. During the trip back home, we heard of Jack Ruby’s murder of Lee Harvey Oswald, the accused assassin of the president, who was actually being held only for the murder of 39-year-old Officer J. D. Tippit; committed after Kennedy’s assassination, allegedly by Oswald as he left the Schoolbook Depository. There were so many details being reported, it was hard to catch-up, and then to keep-up, with the news. It still didn’t seem quite real. I remember the funeral. As I watched the following video today, the emotions rose once again. I still will never forget tiny John-John’s Farewell Salute offered on his third birthday, as his father’s body was carried away before him and his sister, 6-year-old Caroline. I found the Eternal Flame established at his gravesite, a fitting and thoughtful memorial to the president slain in my young lifetime. The Flame reminds me that the American Spirit of Liberty has never been, nor will it ever be, quenched by mere earthly actions of Man! 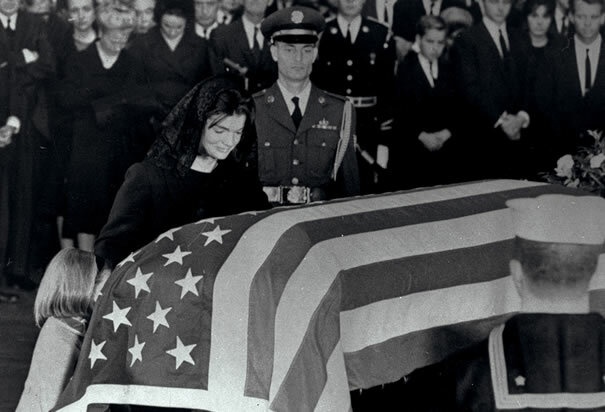 I remember the mood of the entire nation during the week following this terrible crime against not only President John F. Kennedy and Governor John Connally and their families, but also against We the People of the United States of America. The somber mood was universal; it hung in the air like thick fog. Risen from the shared grief, anger, and bewilderment of the American People, it gave our universe a feeling of being outside the normal perception of living Life. Like a phase shift had displaced the whole, known world and set it out-of-sync. The JFK assassination was the longest uninterrupted news event on television until the coverage of the September 11 attacks in 2001. To borrow from President Franklin D. Roosevelt, I believe November, 22, 1963, and September 11, 2001, will each be “a date that will live in infamy,” along with December 7, 1941. A transformation their ideological progeny – culminating with Barack Hussein Obama and his fellow-travellers – have implemented ever since. As they relentlessly pursue their tyrannical, collectivist utopia. 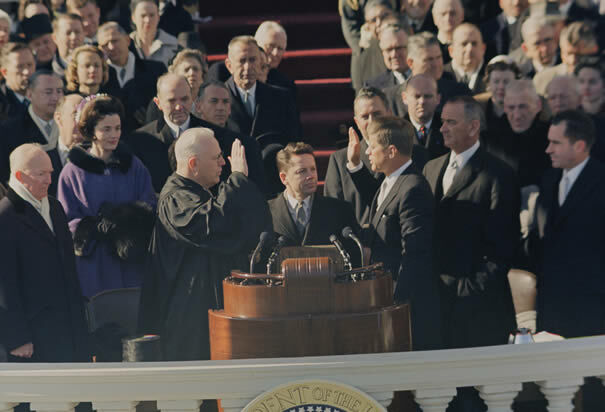 The ensuing 50 years have brought us to a time of great peril to our UNIQUE and Great REPUBLIC, and the American Liberty our Founding Fathers established her to protect, with the Blessings and Providence of Almighty God. May we see the 50th Anniversary of that terrible day in Dallas, 1963, as a DIRE WARNING; and awaken to revive our Liberty and restore our Constitution, as the Gift of God to a Free and God-fearing People. 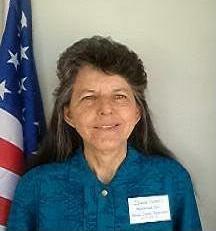 United States Constitution. Article II. Section 1. Clause 8. Face of God’s Created Earth. This entry was posted in In Memoriam, One Nation Under God and tagged Eternal Flame, JFK assassination on November 23, 2013 by Itasca Small.